We service and repair hot-side food equipment to keep restaurant, hotel, and commercial kitchens running. If something breaks after hours (hey, it happens), don’t fret. Our technicians come to you 24/7. Call 604 623 7876. Schedule a repair at your location during regular business hours, or send us your smaller equipment and we’ll repair it in-house. We install and commission equipment to manufacturers’ specifications. Keep your kitchen equipment humming. Schedule regular predictive maintenance tailored to your kitchen’s needs. Tell us what you’re looking for—make, model, and serial number—and we’ll get it for you. If your equipment is under warranty, let the manufacturer pay. We provide warranty repairs for over 30 manufacturers. 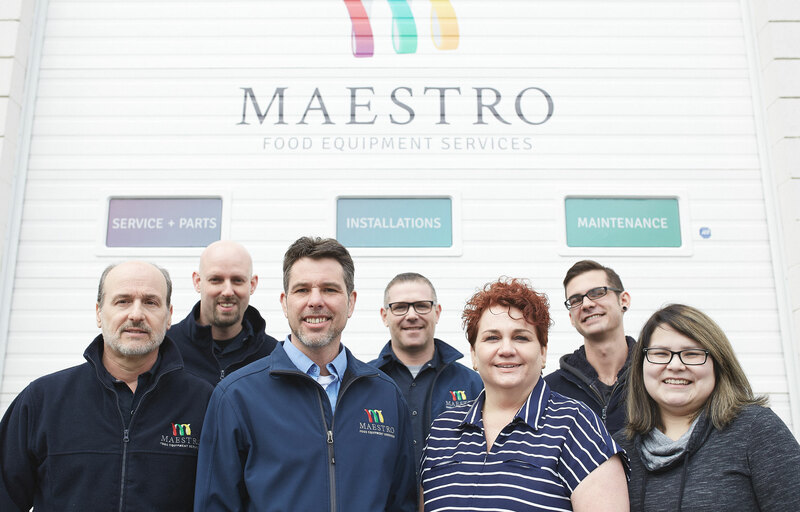 We’re a family-run business that gets a real kick out of kitchens with equipment that runs effortlessly. Our technicians are top notch. Our customers are happy. And our team is ever-eager to help you keep your kitchen—and your business—humming.